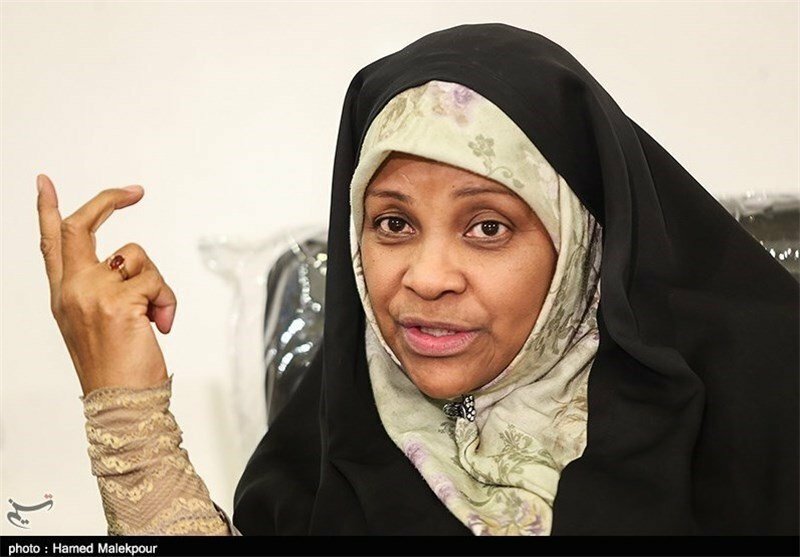 Iranian television anchorwoman Marzieh Hashemi has been released from U.S. detention after being held as a material witness in an unidentified case, officials concerned with her case say. Abed Ayoub of the American-Arab Anti-Discrimination Committee said Hashemi was released on January 23 after being detained for more than a week in Washington. Mehdi Atefat, head of the Iranian interests section housed in the Pakistani Embassy in Washington, also said Hashemi had been released. U.S. officials have not yet commented. Her detention, which began on January 13, had concerned international journalist watchdogs and angered Tehran, which said she was being illegally held and called for her immediate release. Foreign Minister Mohammad Javad Zarif tweeted on January 21 that the U.S. government "needs to explain how Marzieh Hasehmi -- a journalist and grandmother -- is such a flight risk that she must be incarcerated until she finished her testimony to a grand jury." Iran on January 22 summoned the Swiss ambassador to Tehran over the detention of the 59-year-old U.S.-born Iranian TV anchor. The Swiss Embassy represents U.S. interests in Tehran. Foreign Ministry spokesman Bahram Qasemi said Iran asked the envoy for the immediate release of Hashemi, who works for Iran's state-run English-language Press TV news channel. Hashemi's son has said she was detained by federal agents on January 13 in St. Louis, Missouri, where she had filmed a Black Lives Matter documentary. Black Lives Matter is a movement demanding equal rights for black Americans. The 59-year-old TV anchorwoman was transported to Washington and has been in custody since then. According to federal court documents made public on January 18, Hashemi was detained as a material witness and not being charged with a crime, though it was unclear for which case. Officials said she was expected to be released immediately after her testimony was completed, but it was not clear when that would be. In a January 21 statement, Reporters Without Borders condemned the "opaqueness" surrounding Hashemi's detention. Hashemi was born as Melanie Franklin in New Orleans and became an Iranian citizen through marriage. Her son said she lives in Tehran and travels to the United States about once a year.